Robert W. Baird, an independent and employee-owned wealth management firm, is driven by its mission to provide the best financial advice and service to its clients, while also being the best place to work for its more than 3,000 associates. This commitment to its employees has resulted in many recognitions as a great place to work, most notably its 12-year run on FORTUNE’s Best 100 Companies to Work For®. Three years ago, Baird established a program designed to increase the firm’s productivity, efficiency and effectiveness. Within human capital, this presented unique challenges. How could this team ensure an efficient and effective hiring process, while keeping its high-touch candidate experience? And, while Baird had already established itself as a great place to work, they wanted to answer a core question: are we a great place to apply for work? Having used Montage video interviewing at a previous employer, Baird's Director of Human Capital Client Services, knew the results it could yield. "I’ve seen the power of video interviewing and how it can help with efficiency, but more importantly with effectiveness to make sure we are getting the right candidate in the right role at the right time." After making the business case to Baird’s executive, legal and compliance teams, Baird launched Montage on-demand video interviewing with its investment banker group. The hiring managers immediately saw the time-saving benefits the technology offered. In addition, they appreciated the ability to connect with candidates and get a sense of their persona, especially important in a role where a candidate’s ability to connect with clients is vital to success. By taking a critical eye to its own processes, the human capital team found another workflow to improve – its referral program. Each year, Baird associates refer about 700 possible candidates. Under the old process, each referral received a phone interview, regardless of qualifications, which was a tremendous strain on time and resources. Rather than interview each candidate, the recruiter asked them to complete an on-demand video interview. “They get an opportunity to answer some questions, reflect on potential transferable skills and talk about why they might be a fit for Baird,” said the Director. Baird’s initial pilot with its investment banker group yielded excellent results. “That first year, we had 50% more adoption than we thought we would,” said the Director. “Once our investment bankers discovered it would save them time and give them more access to the candidates, it was very effective.” And, replacing the referral candidate phone screen with an on-demand video interview saved the team hundreds of hours each year. 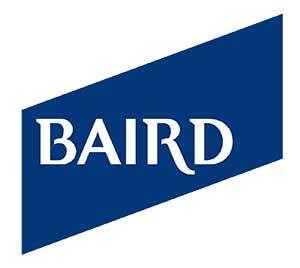 The Baird team has seen results with all three of its audiences – candidates, recruiters and hiring managers. Their candidates, who feel that video interviewing lets them positively represent themselves, have given positive feedback. Recruiters have seen a large increase in efficiency because on-demand video interviewing allows them to quickly screen pre-recorded interviews. “Recruiters can spend 5-7 minutes reviewing a candidate, versus a 25-minute or longer phone screen,” said Baird. "Our hiring managers want to get better. The way they did it 10 years ago is different from how we need to do it today."